Swaine, Harris & Wohl, P.A. 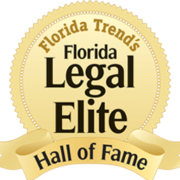 | Heartland Law Swaine, Harris & Wohl, P.A. The mission of Swaine, Harris & Wohl, P.A. is to provide aggressive, creative and cost-effective legal services to individuals, businesses and local government entities throughout Central Florida. With over 130 years of combined experience, the attorneys of Swaine, Harris & Wohl, P.A. provide clients with the broad expertise of a large-firm, while providing the responsiveness and personal service of a much smaller firm. In addition to our legal skills, we are personally and deeply involved in the communities in and around Highlands County. The firm has offices in Sebring and Lake Placid serving Florida’s Heartland. Our practice areas: Estate Planning (Wills and Trusts); Probate Law, including Trusts and Estates Administration and Litigation; Real Estate Law, including Financing, Title Insurance, Closings, Litigation, Zoning and Land Use; Business Law and Corporate Litigation; Contract Disputes; Construction Law and Mechanic’s Lien Law; Landlord/Tenant Matters; Local Government; and Agricultural Law. Disclaimer: Face to face is the best way to choose an attorney. You want to find an advocate you can feel comfortable with when you need to share personal aspects of your case. Please contact us for an appointment. Although you can start to learn about us and our law firm in this web site, you will find only general information here. Our web content is not legal advice and should never be taken as such. Simply visiting our site or contacting our office does not create an attorney-client relationship.